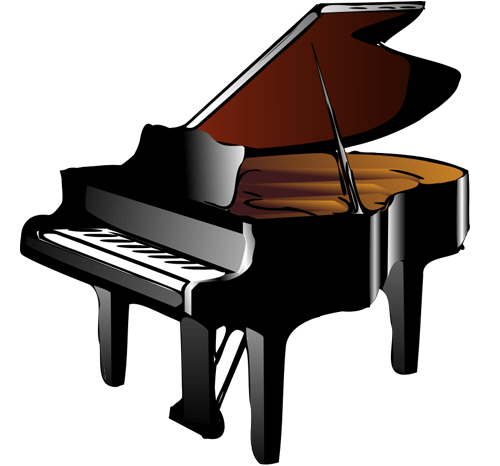 The piano (Italian pronunciation: [ˈpjaːno]; an abbreviation of pianoforte [pjanoˈfɔrte]) is a musical instrument played using a keyboard. It is widely employed in classical and jazz music for solo and ensemble performances, accompaniment, and for composing and rehearsal. Although the piano is not portable and often expensive, its versatility and ubiquity have made it one of the world's most familiar musical instruments. Pressing a key on the piano's keyboard causes a padded (often with felt) hammer to strike strings. The hammer rebounds, and the strings continue to vibrate at their resonant frequency. Although an acoustic piano has strings, it is usually classified as a percussion instrument because the strings are struck rather than plucked (as with a harpsichord or spinet); in the Hornbostel-Sachs system of instrument classification, pianos are considered chordophones.